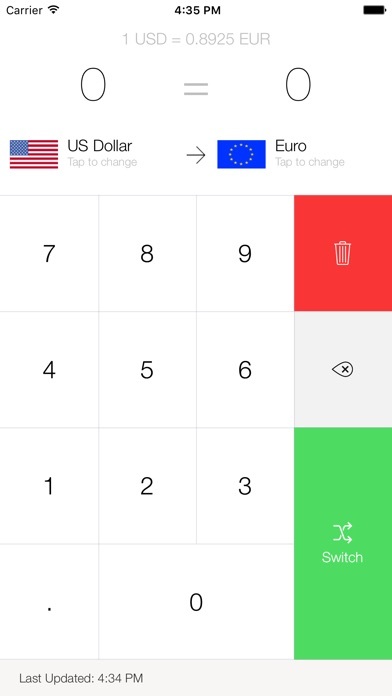 My Currency Converter Pro is the simplest, most beautiful currency converter you'll ever find. It supports over 150 different currencies from all around the world, ranging from the US Dollar to the Colombian Peso! It even supports BitCoin, LiteCoin and Dogecoin! 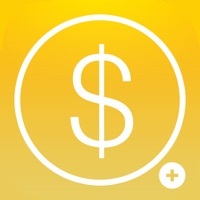 If you're travelling, this really is a great app to use - you can find out how much your currency is worth in just a few short moments, even if you aren't connected to the internet! FEATURES - Over 150 currencies supported. - One of the first converters to support BitCoin, LiteCoin and Dogecoin! 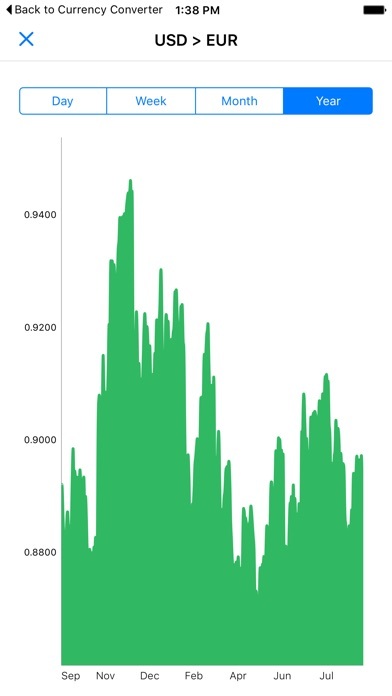 - Incredibly simple interface - Exchange rates are updated automatically - you don't have to do anything! - "Switch" button to invert the currencies - Converts as you type (no need for a "Convert" button!) - Uses 3 decimal places for greater accuracy! - Find the current exchange rate of what you're converting. - Optimized for iOS 11, including iPhone X! - Apple watchOS 4 support! "The beautiful part about this app is the pure simplicity of it." - AppPicker.com Let us know if you have any comments or feedback! It's similar in nature to XE currency converter, but offers a lot more. Simple. You don’t need an MBA in finance to use this app. Very fast and user friendly! Quick and very time efficient! This is a good app, with a clean interface. I find one drawback that I hope will be corrected in future versions. When converting from currency A to currency B, separators (commas) are provided only for currency B. Separators should be provided for both A and B. 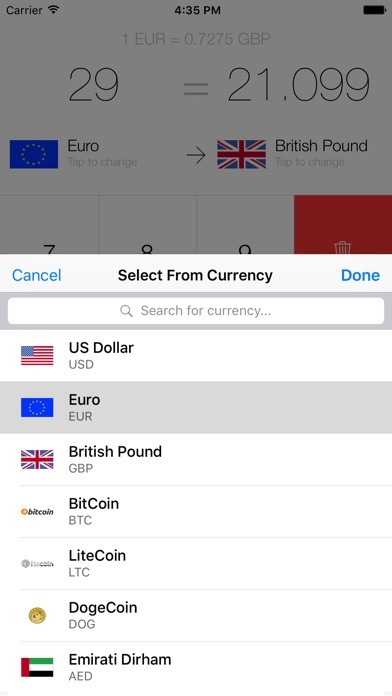 Really like this app because it works so well for me with the latest currency changes all the time. Thanks so much a very satisfied customer. I need it to check US currency to Thai Baht and it works great. I am glad I found this app since the other one I had for it was no longer available. I traveled for 4 months through Europe and Asia using this to help get my conversions right. It’s simple, accurate, and fast. Wife downloaded other converters and kept grabbing my phone to use this one because it’s just the best. Worth the 1$ to clear the ads and support the dev. Thank you.